Wiley-Blackwell’s Geography Compass has established itself as a key reference for up-to-date peer-reviewed research reviews in all facets of geography. We hope to strengthen the Atmosphere & Biosphere section with a new round of articles that continue the excellence in publication from scholars including Marshall Shepherd, Thomas Knutson, Andrew Comrie, Kristin Dow, Steven Quiring, Julie Winkler and others. 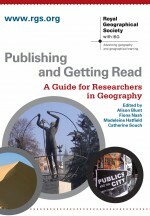 Why publish in Geography Compass? If you have an idea for a potential article on any of the above themes or any additional questions, please contact Scott Curtis (curtisw@ecu.edu). We hope that you are excited by this opportunity to publish your work in Geography Compass. This entry was posted in Announcements, Geography Compass and tagged Agricultural and forest meteorology, Air-sea-land interactions, and society, Andrew Comrie, Applied meteorology and climatology, Atmosphere & Biosphere, climate, Climate change, Climate systems and dynamics, Climate variability, Forecasting and modeling, Geography Compass, Hydrometeorology and hydroclimatology, Julie Winkler, Kristin Dow, Marshall Shepherd, Mesoscale processes, Polar meteorology, Scott Curtis, Steven Quiring, Synoptic meteorology, Thomas Knutson, Tropical meteorology, Weather, Weather hazards on January 20, 2012 by anonuser.